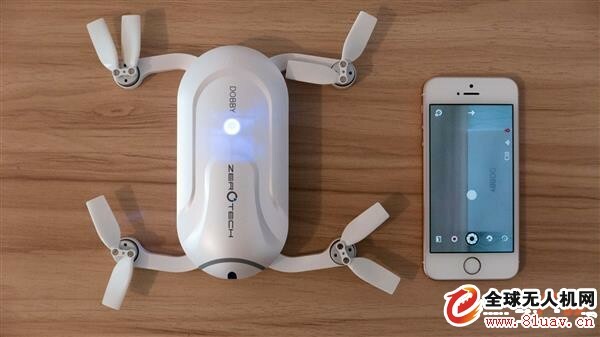 Taobao Crowdfunding, a few days before, launched a consumable-level pocket UAV product - DOBBY, which is targeted to flight self timer and the small fuselage that even can be put into pocket. The appearance design of DOBBY UAV is based on F1 track modeling, which is claimed to be able to resist wind of class-4 in the outdoors. 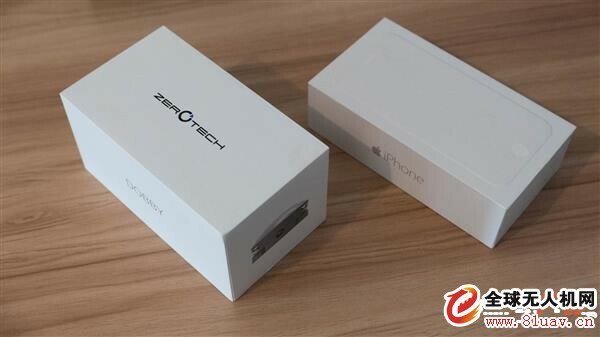 Its body is small; weight of overall unit (containing battery) is only 199g and the wings and blades adopt folding modeling; the size after complete folding is similar to that of iPhone 6, which can be put in the pocket for carry-on. This UAV is operated by mobile APP, and it claims that a novice can master it within 5 minutes. 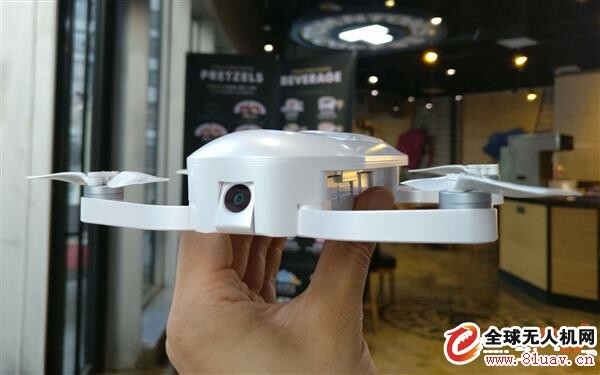 By throwing, voice control and motion manipulation, users can easily control the UAV, and it also has the interesting functional experiences such as onekey flipping. DOBBY carries a high-definition camera with 13 million pixel, supports 1080p shooting, uses a 75° lens angle and supports the three-axis electronic shake proof; it has pre set the functions such as professional video track, face recognition, target following and so on. Now, PingWest has got this product and brought the picture appreciation; so let's look at it together. We adopt three commonly used mobile phones to make a simple comparison with Dobby; from left to right, they are Samsung Galaxy S7 edge, iPhone 6, Dobby and iPhone SE in turn. After seeing it, some friends called it as a flying soap. Dobby takes the folding arm design, and three fixed buckles are at the joint of arms and fuselage. Before taking off, the arms need to be manually moved to correct positions; when taking it back, the blades need to be folded and then pushed into fuselage. The 13 million pixel camera used for self timer is located at its forebody, and the pitching angle can be manually adjusted. The angle shown in the picture above has been manually turned around by us. Besides the pre positive camera, a camera-like device is also set at bottom of the fuselage. Just as you have seen, it’s the component in the Dobby optical flow system, which is used for position location, and the ultrasound which is used to determine height, is next to it closely. Please note that, ZeroTech does not equip it with a landing gear, you need to, therefore, confirm that the ground below is flat enough when landing, so as to prevent bottom components from damage. At Dobby’s back part, a row of loudspeaker like orifice area is opposite to the pre positive camera; it’s in fact a heat dissipation system rather than a loudspeaker. A few minutes after we started Dobby, when we correct the UAV and before taking off, this area has had obviously warm feeling. The chip used in the reference design of Snapdragon Flight platform is also the Qualcomm Snapdragon 801. 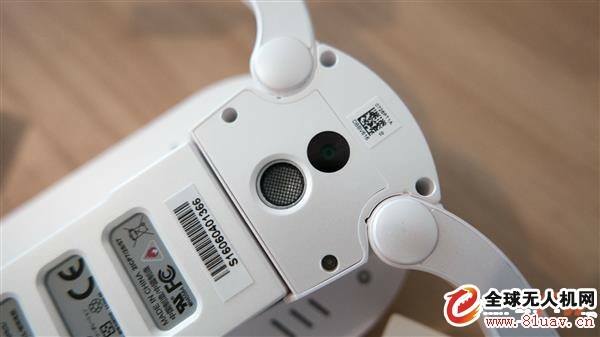 The Hover Camera team that uses this platform told PingWest that by using Snapdragon 801 as the platform, its performance has virtually been drained. 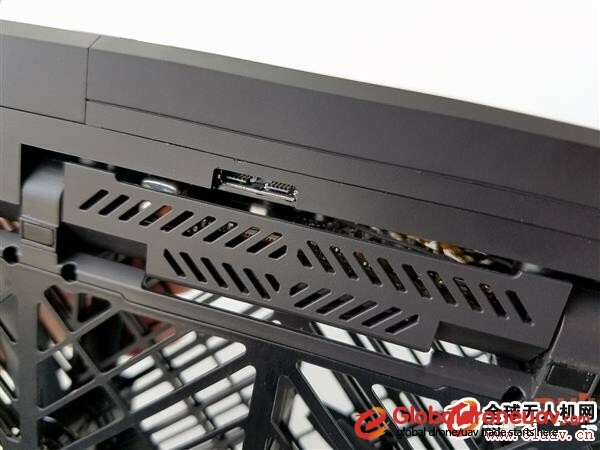 The heat is definitely not able to be underestimated, so Hover Camera fuselage also has a large number of heat dissipating holes. 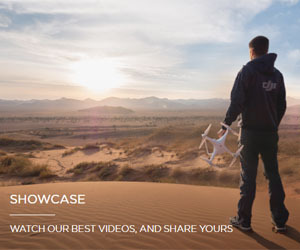 The reason why social media are so excited about Dobby and the earlier Zero Zero Robotics’ Hover Camera is that, the platforms they use are very versatile, and they are not different in the built-in processor chip on most smartphones. The difference is that the chips carried on these two small UAVs are the ones used on flagship Android mobile phone in 2014. As a new-fashioned self timer UAV, Dobby is able to take pictures at maximum R.P. of 4208x3120. It can record 4K resolution video, which, however, can be changed to 192dumpfil resolutions (30fps) after electronic image stabilization. A lot of people are doubting its shooting duration: the data gave by official is 9 minutes. 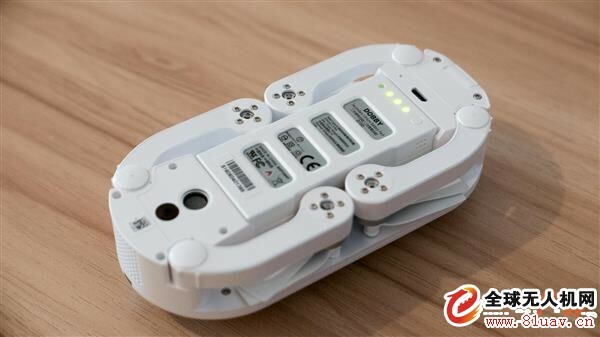 The capacity of Dobby battery is the two-core battery with 970mAh (7.37 Whr), and on the battery, there is a light which is convenient for checking before taking off, avoiding that the UAV has to be taken back in two minutes after taking off when you are enjoying a happy gambol. 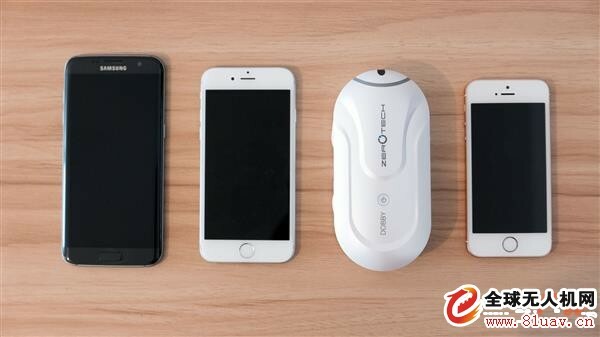 One thoughtful aspect of Dobby is that it can be charged with portable source that supports fast charging. The standard configured charger also supports the QC2.0, USB-C interface. One point to be reminded is that it’s charged by a dedicated charger rather than through Micro-USB at fuselage’s bottom. 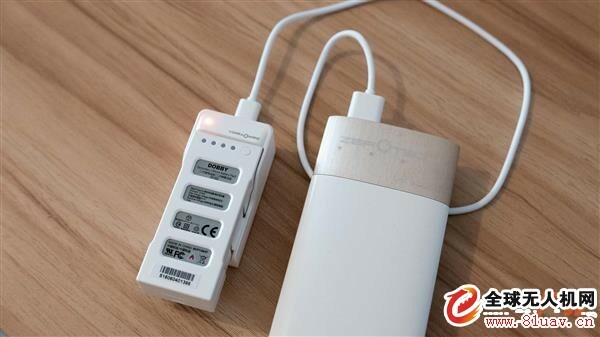 The Micro-USB can only be used to transmit data, and it’s also equipped with a converter for the conversion of USB-C to Micro USB.